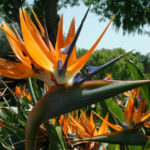 Strelitzia reginae is a evergreen perennial, up to 6.6 feet (2 m) tall. It forms clumps of long bluish-green leaves, up to 27.6 inches (70 cm) long and up to 11.8 inches (30 cm) wide, that are erect on long stalks. From late fall through late spring appear orange and blue flowers that rise from reed-like, grayish leaf stalks that can reach up to 6 feet (1.8 m) tall. 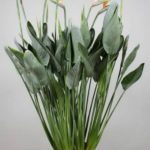 These stalks bear flowers of a most interesting floral structure with hard, beak-like green sheath-like bracts, held singly at a right angle at the tip of the stalks. 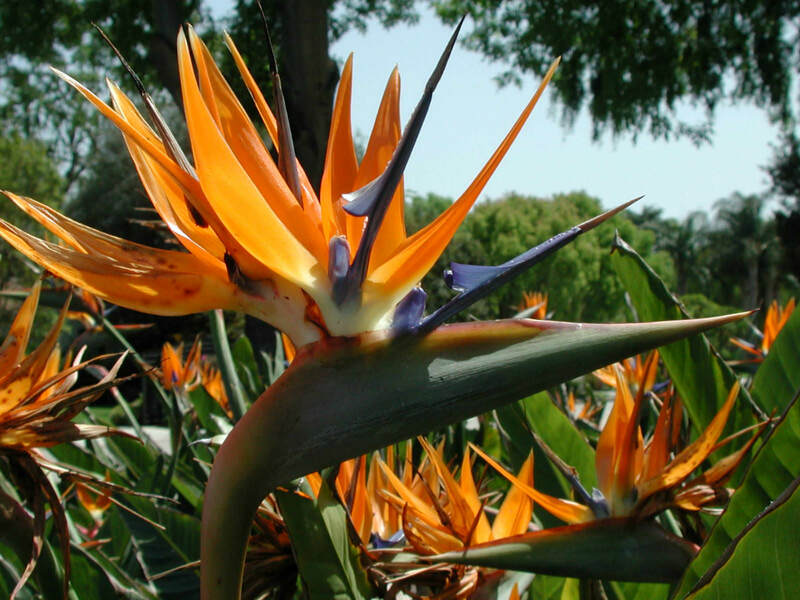 The flowers, which emerge one at a time from the spathe, consist of three brilliant orange sepals and three purplish-blue petals. Two of the blue petals are joined together to form an arrow-like nectary. Individual flowers last about a week. 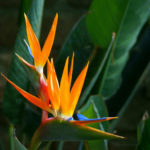 Bird of Paradise are easier to grow than many tropical plants. The plant is a vigorous, rapidly growing indoor plant. They can be moved outside in the summer, and in warmer climes, will thrive for half the year outside. They typically flower in the late winter or early spring, but under optimal conditions, will flower at various times. 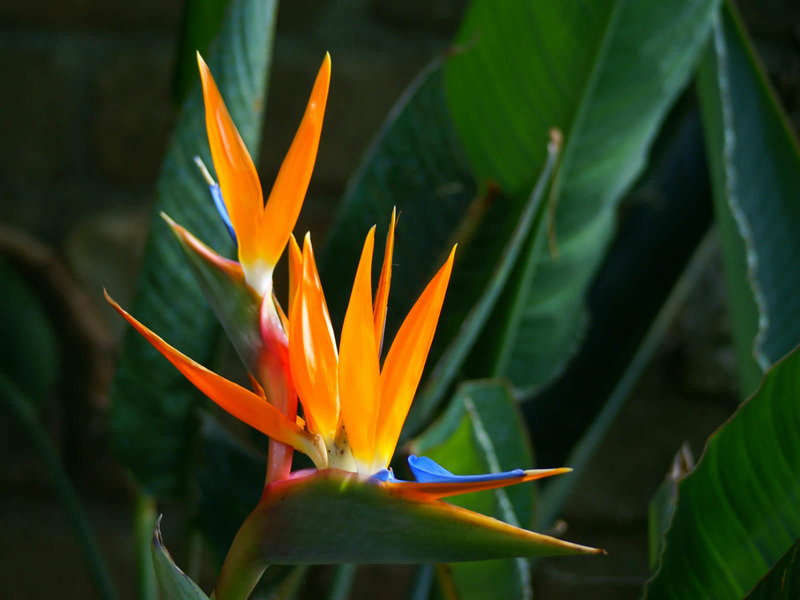 Strelitzia is a genus of about 5 or 6 species (depending on who you listen to). 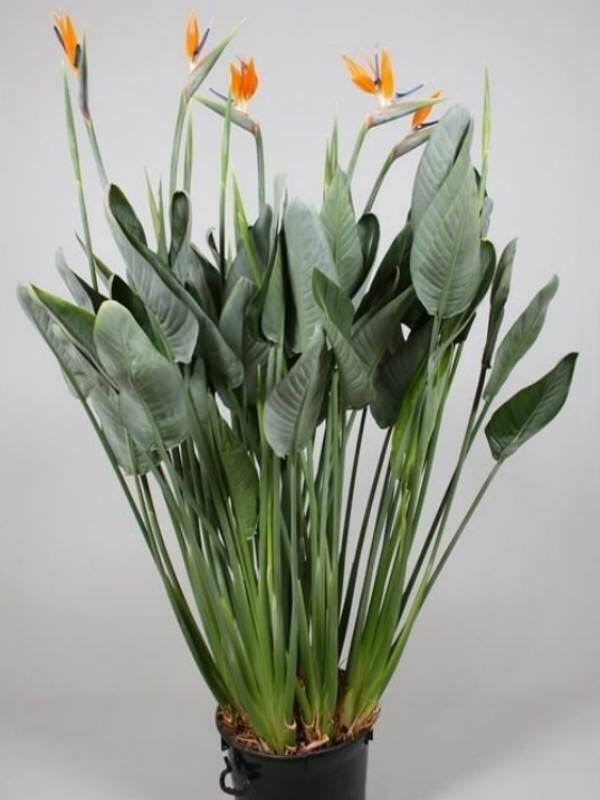 Strelitzia reginae is the most well known species and is frequently grown as house plants. It is a beautiful plant and can be very successfully grown inside. The biggest drawback is typically its size (they grow up to 5 feet/1.5 m) and the fact that plants need 3 to 5 years before they will flower. They work well in massed plantings or as specimen plants, and their flowers will rise above the foliage for an impressive display. The trick to successful growth is providing lots of bright light (with some gentle direct sun), water, warmth and food…. 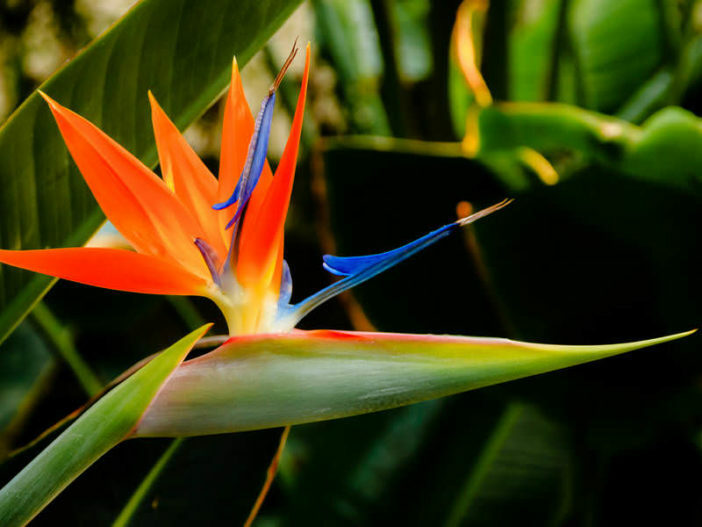 – See more at: How to Grow and Care for Bird of Paradise Flower.